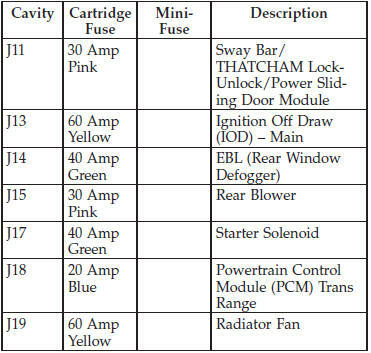 • When installing the integrated power module cover, it is important to ensure the cover is properly positioned and fully latched. 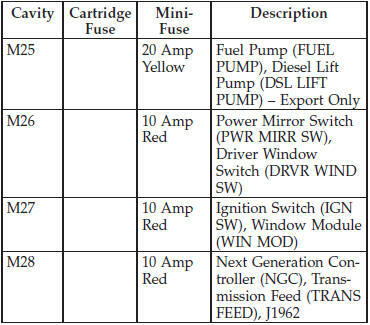 Failure to do so may allow water to get into the integrated power module, and possibly result in a electrical system failure. 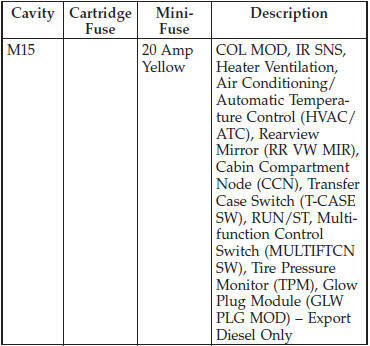 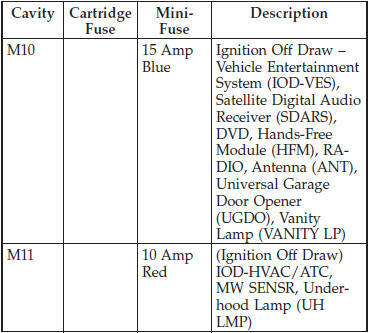 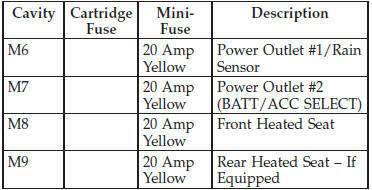 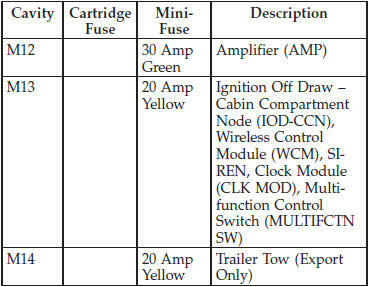 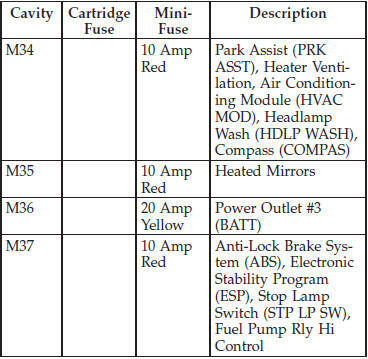 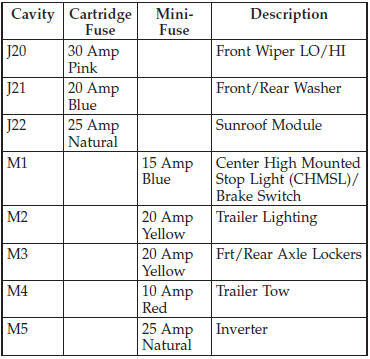 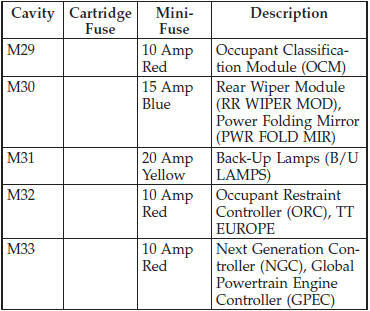 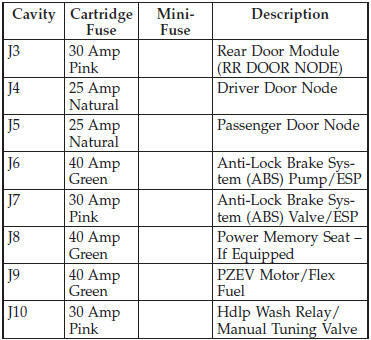 • When replacing a blown fuse, it is important to use only a fuse having the correct amperage rating. 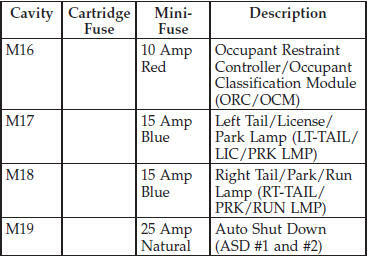 The use of a fuse with a rating other than indicated may result in a dangerous electrical system overload. 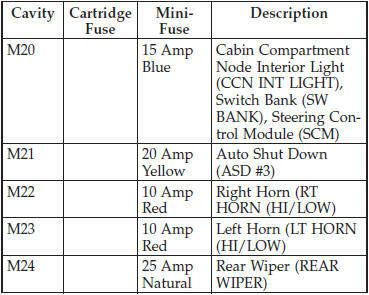 If a properly rated fuse continues to blow, it indicates a problem in the circuit that must be corrected.